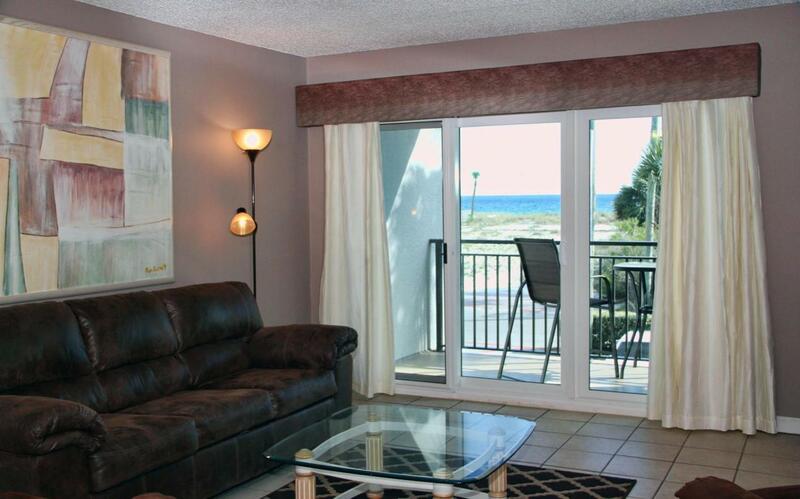 Artfully decorated with views of the Gulf of Mexico, this two-bedroom unit at Emerald Isle is positioned to amplify the views of the Gulf of Mexico. The unit showcases an open floor plan which leads out to the awe-inspiring balcony which is accessible from both the main living area and master bedroom. Other noteworthy features include tile flooring, smooth ceiling and a completely remodeled master bath. 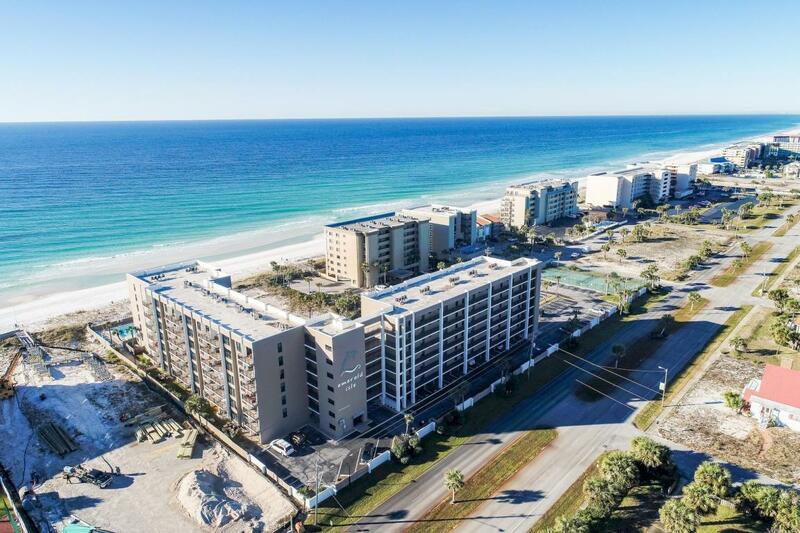 The unit is located on the 2nd floor making it a breeze to ingress and egress the unit to parking and other condominium amenities, including beach access. 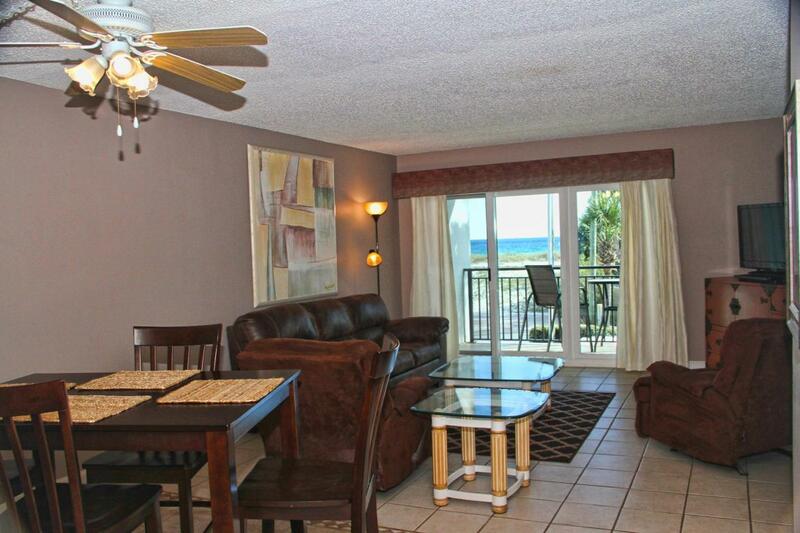 The unit comes equipped with an assigned parking spot and a separate storage room, perfect for storing beach equipment. 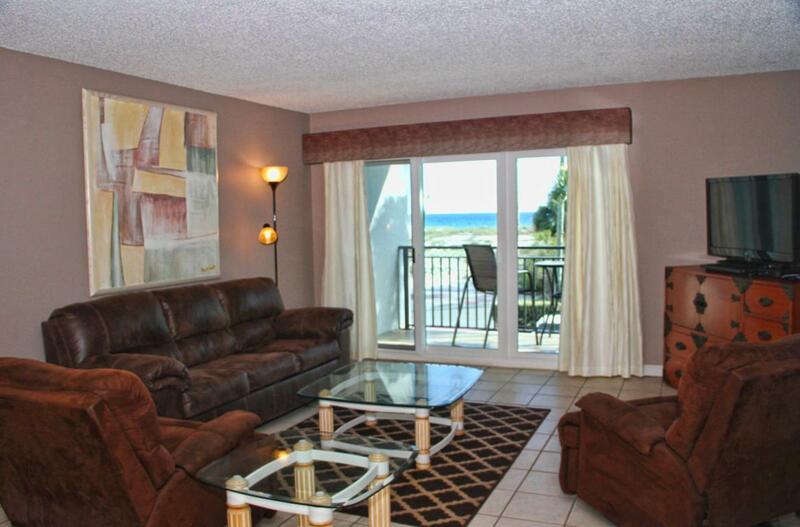 Emerald Isle is a pet friendly condominium that sits directly on the beach facing the Gulf of Mexicoon Okaloosa Island and offers world class amenities including a gulf front pool that leads to deeded beach access, gulf front picnic area with BBQ grills, a tennis court, and a community room that can be book for private events. Association dues include ground keeping, water, trash, sewer, basic cable and internet. Buyer to verify all fees and dimensions.